• 1 day event, with Categories: A Grade, B Grade, C Grade (2 girls can enter as a team) and mixed. • There will hot food served throughout the day. • Guarantee of 4 games per event. 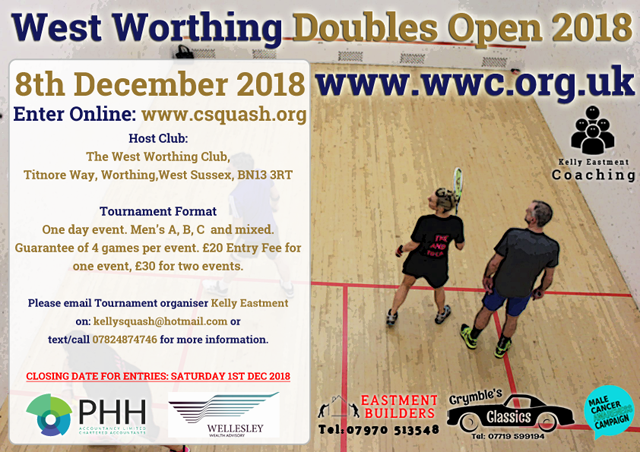 Entry fee is £20 for one event or £30 for two events. Entry fee includes tournament t-shirt.